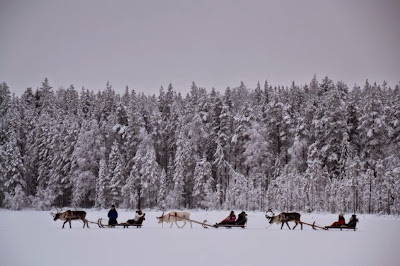 Arctic reindeer, husky and snowmobile safaris, log cabins complete with skis, snowshoes and ice fishing equipment, and Lapland’s wilderness with its forest paths, lakes and fishing are all available at Korvala, 60 km north of Rovaniemi and the Arctic Circle, Finland. 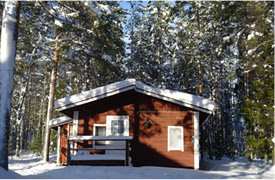 Korvala’s crown forest estate was established in 1889 alongside the path joining the village of Rovaniemi and the small community of Sodankylä. When the road was completed up to the ice-free Arctic Ocean, inn activity began. Today, work at Korvala’s inn is enjoyed by the fourth generation of the founding family. Beautiful scenery, nature’s proximity, varied activities and long traditions are essential elements of a holiday at Korvala. Jaana and Seppo Näsi, and family. 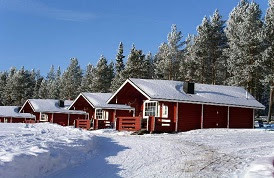 Log cabins at Korvala offer cosy accommodation and these lakeside cottages, situated at the southern edge of the fell region north of Rovaniemi and the Arctic Circle, are open throughout summer and winter including the Christmas holidays. A small campsite is open in the summer along the lake shore. 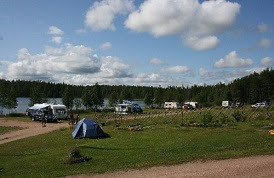 The campsite has been a popular holiday destination for over 50 years and provides all the typical campsite services. 1. 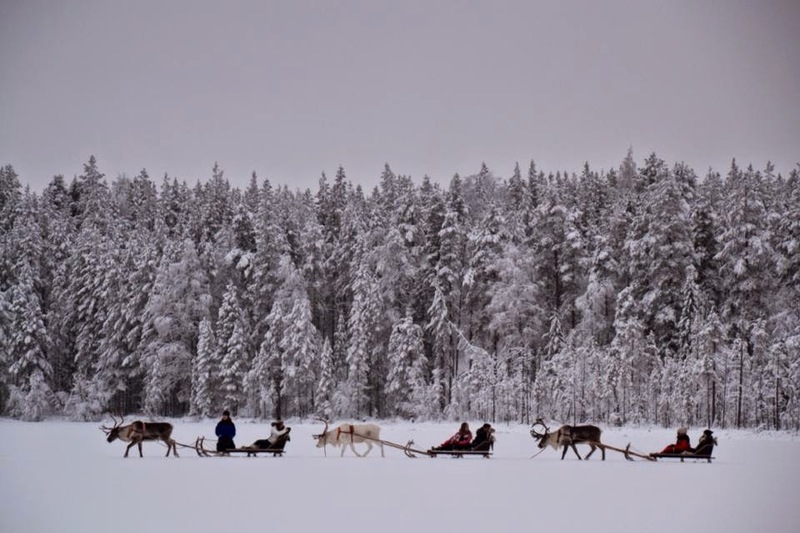 Long sleigh rides: we ride in sleighs pulled by reindeer to our reindeer herding corral 2km away, with Poro-Hannu, the reindeer herder. Here he explains and shows how these famous animals of the north are cared for throughout the year. He'll make tea or coffee on a campfire and you'll have time to chat with him about his work. Duration approx. 1½ hours, price 85€/adult, 40€/child, 65€/student. Minimum participation: 5 persons (if your group is less than 5, please check whether there are other reservations). 2. 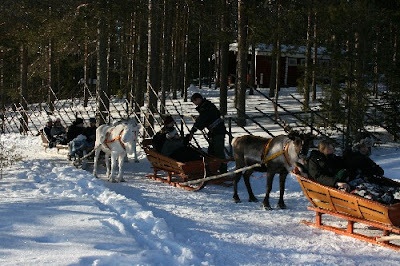 Short sleigh rides: for groups with over 25 participants, this trip of ½ km offers a chance to learn how to drive a reindeer sleigh. Poro-Hannu, the reindeer herder, will send you on our way and if you are successful, you will get your driving licence! You will also be able to see and photograph these arctic animals close up. Duration approximately 1-1½ hours, price: 20€/person. Programme reservations must be made two days before by midday. The programmes are at ½ price for children aged under 12 years unless stated otherwise. Hire of winter clothing: 10€/day. Fitting of winter clothing requires a minimum of 30 minutes. This must be done before the scheduled departure of the programme.